In a Facebook post from July 8, Montrell Jackson wrote about the particular hardship he had recently been experiencing navigating the incredibly fraught intersectional space of being a black police officer in Baton Rouge, Louisiana. 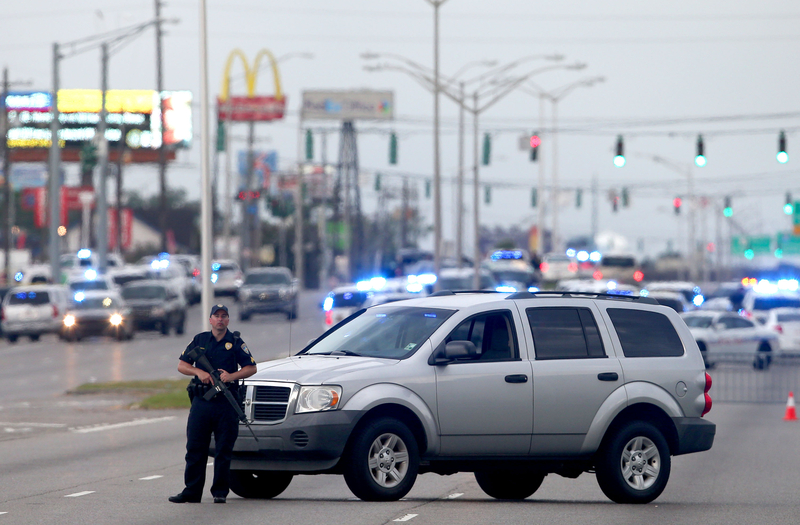 A mere nine days later, Jackson and two other law enforcement officials from Baton Rouge Police Department were killed in a shootout that appears to have targeted police specifically. Jackson's heartbreaking Facebook post about Alton Sterling, the 37-year-old black man who was killed in Baton Rouge just over a week ago, is a heart-wrenching reminder of just how quickly, and randomly, a life can be snuffed out due to our cultural obsession with violence. Writing nine days ago after Black Lives Matter protesters shut down swathes of the city of Baton Rouge following the death of 37-year-old Sterling, as well as the targeted cop shootings in Dallas, Texas, Jackson opened up about how he had been feeling over the past few days. His words are all the more poignant in light of his untimely death. Jackson went on to thank people for reaching out and offering words of support and solidarity, before making an unequivocal plea for tolerance, understanding, and love in these fraught times: "I'm working in these streets so any protesters, officers, friends, family, or whoever, if you see me and need a hug or want to say a prayer. I got you," before signing off with an emoji rendering of a Black police officer and a Black hand making the peace sign. We would all do well to remember the life and service of Jackson by not letting hate infect our hearts, as he so eloquently put it in his post. No matter what your political beliefs, race, or religion, at the end of the day, Americans must stand together, and reaffirm in the strongest possible terms that we value human life, and that we need this violence to stop.